mountainsloth had the most liked content! 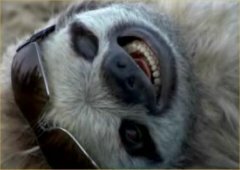 mountainsloth replied to Kposaune's topic in The rest of the US and International. Love it! Red rocks is my favorite! Thanks for the stoke! Love that route. It’s been a season of giving this Autumn. I’ve been surprised by our sunny weekends. I had a spectacular day up there yesterday. Ive been climbing up here for ten years now and really appreciate the bolt replacement and general maintenance that has been happening. I climbed the Kone yesterday and every bolt was shiny new. Even the majority of bolts on the descent (Gastroblast) look brand-spanking new! Makes me want to finally climb that route. My first route in Darrington was Till abroad Daylight with, then, my future wife and it was a memorable moment early in our relationship. I may have not thought it so enjoyable if I had any idea how sketchy the ancient quarter inchers and button heads were! This route has also been upgraded to modern 3/8 stainless steel hardware btw. Anyway, just wanted to say thanks and hope one day I will make the time to give back a bit more myself. “Not all who wander are lost.” -J. R. R. Tolkien Nice wandering fellas. Trip: Three Fingers trail run - Meadow Mtn trail to standard ladder scramble Trip Date: 10/21/2018 Trip Report: As my free time for frolicking amongst the mighty cascades has shrunk over the past few years, my activities too, have changed with it. Trail running has given he the opportunity to tackle mountain objectives in less time. I get to really special places without all the time commitment. The “back in time for lunch” mentality. Although I prefer to soak in ambiance of a glacial cirque, I have developed a deep appreciation for a smash and grab kind of day. 396F23EC-9316-4ED8-8ABF-C3D2EB4A4780.MOV Over the past few years, my running buddies and I have slowly pushed our distances, elevation gain and loss, and comfort with venturing onto more technical trails and into more remote areas. This run was a real test for us and proud to say we pushed our comfort zones and it paid off. The human body’s limits reside in the mind. Lesson learned: don’t trust caltopo’s trail distances. What was supposed to be 20 miles ended up being 26! Combine the awe, love, and uplifting feeling mountain vistas give you with the chemical concoction your body produces during a long, sustained effort and you’ve got the recipe for the best drug on the planet. 12 years here and still so very much in love with our Cascades. Gear Notes: Brooks Cascadia trail shoes, MSR bladder Approach Notes: The road is closed after 8 miles just before it turns west. Jason, Oly is speaking of the N face of LITTLE summit chief. Different than colon and Dave’s line on main summit chief. In this photo it is the peak and face on the left. Here is a shot of the three summit chief pics from tank lakes. Left is little summit chief face. Nice report and photos as always. I found a pair of boots on my descent from Stuart last summer. We took the far couloir instead of the standard and found the boots in a pastiche bag amidst house sized boulders. Weird! Maybe there is someone stashing boots on obscure approaches all over the cascades. Anyone else find boots in the wilderness? Doink, No shor of the shaft. Certainly a unique feature. By that time of day I was too spent to think of taking more photos. Sounds like fun! Gotta love the solo trips. Reminds me I am overdue for one. Thanks for the report.